The officials of the finance ministry and of RBI will hold a meeting this week to discuss about relaxing the norms for external commercial borrowing (ECB). 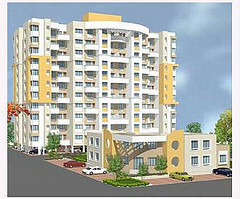 The relaxation may boost the affordable housing projects. Budget 2013 -14 was awaited with lots of expectations and hopes. The budget, announced by the Finance minister today, was received with mixed feeling by the common population. P Chidambaram announced the Budget 2013. Finance Minister announced the Budget 2013 today. This is his eighth finance budget and the first one after returning to the Finance Ministry, as its head last year. The budget slightly slapped the top-earners by imposing overload on their shoulders. Many of the luxury items will become costlier while a few common goods will become cheaper. Foreseeing the 2014 general election, the Finance Minister remained highly keen to offer some sops to the tax payers (income). On the other hand; by raising the duties on luxury and imported vehicles, mobile phones and cigarettes, the finance minister slapped the ‘ultra-rich’ millionaires of the country. The budget proposed to raise an additional Rs.18,000 Cr in the form of tax. However the budget has not made any changes in any of the tax-slabs. 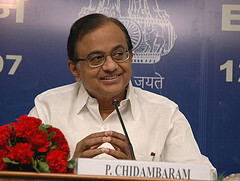 Mr. Chidambaram gave a tax benefit of Rs.2000 to all the individual tax payers with income up to Rs.5 lakh. Favoring the real estate sector, Finance Ministry expressed its view that the realty firms should be permitted to run banks by the Reserve Bank of India (RBI). Will RBI permit realty builders to run banks as Finance Ministry suggests? Finance Ministry, favoring the realty sector and broking firms said that they should be permitted to run banks. 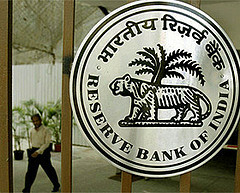 The ministry said that the RBI should permit the real estate firms and broking firms to run banks. Finance Ministry was commenting on the RBI’s plan over giving new bank licenses. Real estate sector is about to gain a small boost from the Finance Ministry. Finance Ministry plans to support the real estate sector by helping the real estate builders to secure bank loans. Real estate sector will be boosted as the Finance Ministry plans to offer bank loans to the builders who have stalled projects at hand. The decision is expected to be made within a couple of weeks. Photo by It is very likely that the Real Estate prices in the country will shoot up further with the Finance Ministry’s decision of not withdrawing 2.5% service tax. This move was proposed by the Urban Development Ministry in the budget of FY10-11. 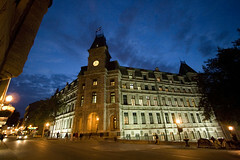 The budget had earlier proposed this tax on all under-construction projects. And it is common knowledge that eventually the customers will have to bear the burden and not the developers. The declination came as no less than a shock to the Urban Development Ministry. Its Minister Mr. S Jaipal Reddy argued with the Finance Minister Mr. Pranab Mukherjee in the favor of the move in April this year but it could yield no results evidently. The ultimate sufferers will be the Indian middle class who already has to bear the burden of inflation in almost all other spheres but also dreams of owing a home of their own! The urban development ministry aims to seek a review of the proposal to get the service tax duty on sale of housing projects under construction which had been proposed in budget 2010 from April 1, 2010. Photo by nancyarora2020The urban development Minister Mr. S Jaipal Reddy said at the national conference on Indian Real Estate “The urban development ministry feels the proposal of service tax needs review. I am recommending the review of the proposal. I think the real estate sector in India is not in pink of health right now and we cannot afford to add pressure on that,” he said, adding that suggestions would be made to the finance minister in the next few days. The conference on Indian real estate was held by Associated Chambers of Commerce and Industry of India ( ASSOCHAM ) on Friday, March 26. Realty sector has suffered the most after the global meltdown started in September 2008 and has just started to witness marginal pick up in demand. Real estate players are already pushing the government to withdraw the service tax imposed on the housing sector (at 3.3%, with abatement), as it would dampen the buyers. “This is not the right time for service tax implementation as the government’s objective is to encourage people to own houses. We have to wait for another month or so to see if the finance ministry listens to our request,” told KP Singh, Chairman, DLF Group. Mr. Reddy said that the government wants “vertical growth” of cities contrary to urban sprawl due to shortage of land and a more flexible floor-area-ratio (FAR) regime. A high FAR limit will allow more storeys’s to be built in the houses. Another suitable point that has been an issue for real estate companies is the number of clearances one has to take for the beginning of any project. “Today, there are more than 50 agencies from where we have to take our clearances. We have to ensure that the best way forward is to have a single window system as it would not only save time, but also ensure transparency,” said MD, Raheja Developers Ltd, Mr. Navin M Raheja. “It is very important to have a single window clearance system in real estate sector,” put forward Anil K. Agarwal, Past President of Assocham. All we have to wait for is the finance minister’s stand.